Described as ‘head and shoulders above the rest’ by one veteran partner, Kirsty Cooper became general counsel (GC) at Aviva in late 2010 and has seen her role gradually expand to include regulatory compliance, public policy and corporate responsibility in addition to heading the office of the chair and sitting as a board member representing the shareholders of two key Aviva subsidiaries, Aviva Insurance and Aviva France. Cooper has also had to help the group negotiate a period of recent widespread regulatory change that has seen the Financial Conduct Authority (FCA) look more closely at insurance providers. New rules introduced by the Prudential Regulation Authority (PRA) and the UK Pensions Regulator have also led to big changes in how UK insurers must operate. At the same time, the industry is dealing with the implications of Solvency II, particularly important for institutions like Aviva that are designated global systematically important insurers. Alongside this regulation there has been a growing focus on what Cooper calls the ‘digital challenge’ that comes when established practices centred on physical documents and meetings with brokers give way to new forms of interacting with customers. The FCA has recently introduced Project Innovate to help businesses introduce new financial products and services into the market and Cooper, along with other leading figures in the industry, is working closely to ensure it addresses the challenges faced by both customers and providers. Cooper’s advice to aspiring GCs is to develop commercial skills without losing sight of the job itself. ‘You need to move around to develop your skills and working in business is a key action I’d recommend to anyone going in-house. When you’ve been at the front line you understand commercial pressures and that means you’re better at understanding clients in business. As the oldest continuously active insurance marketplace in the world, Lloyd’s of London is responsible for managing the insurance market in the UK. Advising a City institution that runs a marketplace, rather than acting as a company within a market, brings a set of unique challenges for Sean McGovern. His job is complicated further by the fact that he is responsible for covering regulatory affairs along with legal risk and governance, and that Lloyd’s is dual-regulated by the Prudential Regulation Authority (PRA) and the Financial Conduct Authority (FCA). It is a role that sees him helping to manage the insurance market’s relationship with the two regulators and working with various international bodies that govern the sector while also trying to manage internal affairs at Lloyd’s, where he sits on the board. The highly-rated McGovern has been helping to negotiate the delivery of Solvency II in conjunction with Brussels and PRA respresentatives in the UK. Over the past few years the insurance market has been dominated by discussions of Solvency II and the highly-rated McGovern has been helping to negotiate the delivery of this complicated piece of regulation in conjunction with policymakers in Brussels and PRA representatives in the UK. As Lloyd’s carries capital centrally, it must also comply with the same regulations. The UK referendum on EU membership is another significant issue that McGovern has had to deal with, and he has been called upon to not only represent his institution’s view but that of industry more generally in discussion with the UK government. Although dealing with EU matters takes up much of McGovern’s time, he must also keep an eye on matters in the US, which is by far Lloyd’s biggest market and accounts for around 40% of its business. McGovern sits on two US Federal advisory committees; one advising the US Treasury on general insurance policy issues and another advising on terrorism risk. The highly-rated McGovern has been helping to negotiate the delivery of Solvency II in conjunction with Brussels and PRA representatives in the UK. Described as ‘one of the most dedicated and impressive general counsel around’, Direct Line’s Humphrey Tomlinson has led his 18-lawyer team in handling major strategic initiatives for the business in recent years. Like many of his contemporaries, Tomlinson has achieved this amid an increasingly robust regulatory environment that has squeezed the budgets of in-house legal teams. Most notable is Tomlinson’s handling of the insurance giant’s initial public offering (IPO) in 2012, launched by owner The Royal Bank of Scotland (RBS). After the float followed a period of consolidation and restructuring with Tomlinson taking responsibility for rebuilding the secretarial team in particular. A former lawyer at Ashurst Morris Crisp, he joined the group in 2011 from his role as group legal director at RSA. With over 25 years in the insurance industry, he advises on a wide range of corporate transactions in the UK and internationally, legal risk management and corporate governance issues. A pet project for Tomlinson was Direct Line’s investment in motor analytics and telematics tech company, The Floow, in July 2014. The team then gained an alternative business structure licence for the company’s legal subsidiary DLG Legal Services and conducted a €550m sell-off of Direct Line’s international business. Alan Porter took on the role of group general counsel (GC) at multinational life insurance and financial services company Prudential following Margaret Coltman’s departure last year. He had previously been Prudential’s company secretary, a role which had been Coltman’s until the legal function was restructured in 2012. With £509bn of assets under management, significant operations in Europe, Asia and the US and stock exchange listings in London, New York, Hong Kong and Singapore, managing Prudential’s size and complexity presents a formidable challenge for the in-house function. 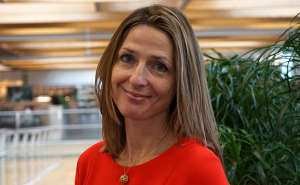 In addition to overseeing legal matters for the group’s four main business units – Prudential Corporation Asia, Jackson National Life Insurance Company, Prudential UK and M&G – Porter’s first months in charge have been occupied with finalising the company’s legal panel, which kicked off in the summer of 2015 and has been delayed and subsequently revisited following Coltman’s departure. The last full panel review for the insurer was in 2011. Before joining Prudential in 2012 Porter had served as Tesco’s group GC, a position he had taken up following 15 years at British American Tobacco. ‘At dinner parties when someone asks what I do I don’t I say I’m a lawyer, I say I’m a fixer.’ Although ultimately responsible for the legal team, Geoffrey Timms has taken on a much broader role that encompasses sitting on the boards of joint venture companies, maintaining business relationships, conducting negotiations, and acting as a corporate problem-solver. The closest Timms has come to doing pure law for a long time has been in the form of Solvency II, a new directive harmonising insurance regulations across the EU, which he says is by far the biggest issue the sector has faced since Basel II. Timms, who joined Legal & General in 1999, says his experience allows him to deal with company-level problems, though he also credits his senior legal team with freeing him from a lot of worry. An added benefit of such long service, Timms says, is it allows him to voice awkward points when needed. 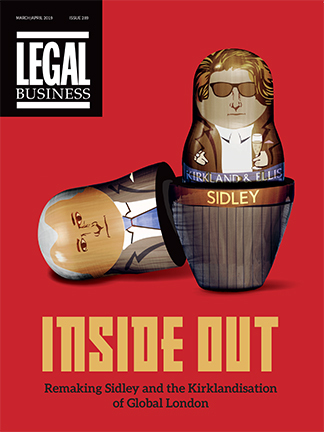 The legal team has been described as the ‘midfield of the organisation’ by Legal & General’s chair but Timms says gaining a reputation for running harder than anyone else means lawyers are the problem solvers people turn to when things get difficult when they should be introduced at the start of a process. What has been the biggest change within the legal team during your time at Aviva? I’ve been with Aviva for 25 years so there have been rather a lot of developments in that time, but one of the major changes I have noticed is the increased desire for – and expectation of – mobility in legal teams. When I first became an in-house lawyer it was a very typical nine-to-five job and the people who did it wanted and expected that stability. The big change now is that young lawyers join a company almost expecting to move around and develop into a new role. It’s great to see that ambition, but you have to be careful that it doesn’t come at the expense of learning to do the job you’re in properly. I have always advised my team to look for commercial opportunities because it makes you a better lawyer and a more valuable part of the company. But you should definitely get into the career you’re in and be brilliant in the job you’re doing. You want to get recognised as someone who is good at what they do, not someone who’s always thinking about the next step. How has your role changed since you became GC? I took over at the end of 2010, so 2011 was my first year. Since then my own role has grown – I’ve taken on other responsibilities like regulatory compliance, public policy, and corporate responsibility – but the role of the GC more generally has changed too. There has definitely been a move to having more non-legal execs in legal teams. There’s a lot more focus on automation and issuing guidelines and automatic checks that can answer a question before the matter is escalated to legal. Eliminating the need to consult a lawyer as much as possible will be a big focus of how legal teams embed themselves within a business in future. We will probably see smaller but more senior teams in-house but I’ve always said it’s not about headcount but the overall cost and quality of the team. The essence of the legal team remains the same. We are not a law firm and we don’t necessarily want to handle a huge amount of low-level work. In my experience when people try to resource legal departments with lots of junior staff they run into problems. What is the biggest legal challenge insurers are facing? There’s a huge regulatory agenda in the industry at the moment, not only from the prudential side but also the conduct side. We’re beginning to see the Financial Conduct Authority turn its attention to other parts of the financial services sector, including insurance. At the same time there are big regulatory changes coming from the Prudential Regulation Authority and the Pensions Regulator. The fact that you no longer have to buy an annuity to draw down on your pension obviously represents a big change for both the industry and how we operate as a business. As a team we’ve been getting ready for Solvency II, which will introduce a lot of governance issues. Aviva is designated as a global systemically important insurer on the G-SII list and that has ramifications for how we operate. For the legal team it means we need to be prepared more than ever and have a clear plan for how we respond as a company if a crisis comes. There has also been what I would call the ‘digital challenge’. People are less interested in having a physical copy of documents now. It sounds minor but it’s a big change in how we think of what we do. 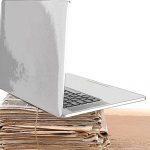 The regulations were written on the assumption you would have a long paper-format policy, but now people want to make three or four clicks before they get bored. Our industry needs to adapt to ensure customer satisfaction but it also needs to keep them safe and ensure good legal outcomes. We both want a safe and secure industry in which customers are only buying things they need and understand but we also need to ensure that it works for all parties. The digital campaign reminds me of the plain English campaign that began several years ago. It’s now second nature in the financial services industry and I suspect this will be a similar exercise. In what little of it I have I am a trustee of the English National Ballet. I love it. A big corporate entity like Aviva has lots of resources and lots of subject matter experts so you tend to have a fairly well-defined role, but when you transport yourself to a much smaller organisation you find the fluidity of the role quite a challenge. At the ENB you end up doing a little bit of everything. It’s a challenge, but you also see the different ways in which your skillset can contribute to the organisation’s success. When you take up a trusteeship you think about the value of your role much more broadly. Davis has driven increased responsibility for handling legal work in-house: AXA UK’s legal function has reduced its external legal spend by 35% since 2011 with total legal spend currently less than £10m, around 70% of that spent in-house. Sarah Walker is vice president and global chief counsel at Aon Risk Solutions, the risk management division of Aon and its retail broking reinsurance business. The division is both the largest and most complex of Aon’s three businesses and has 500 offices in 120 different countries globally. UK-based Walker has global responsibility for the retail risk businesses across the group and helps to handle legal matters relating to over 80% of Aon’s total business by revenue. With a team of around 80 lawyers, including 50 in the EMEA region alone, she is the direct report for a team of deputies around the world, who are collectively responsible for the majority of Aon’s lawyers. She is described by one experienced partner in private practice as ‘the best kept secret in financial services law, absolutely exceptional and a real visionary and thought-leader’. Walker is one of three global chief counsel who report to Aon general counsel Peter Lieb. In 2014 she was appointed to the chair of the global risk committee, and is a prominent member of the global legal leadership and risk governance team at Aon. Richard Ferris, chief counsel for Aon Risk EMEA, describes himself as ‘a bit of a spare rib’ within the Aon group, but says that he has a true EMEA role, covering every market that falls between the west coast of Ireland to the Afghan border and the North Cape down to Cape Agulhas. The extent of Ferris’ role is unusually broad: Aon has a client presence in most EMEA countries, business lines in around 70 EMEA countries and offices in 30 of them. Ferris oversees a shared services platform that works across Aon’s three businesses – Aon Risk Services, Aon Benfield and Aon Hewitt – with lawyers in the UK, Spain, France, Ireland, Dubai, Sweden, the Netherlands, South Africa, and Germany, and supports the company’s core regional insurance and reinsurance offerings. This forces Ferris to think about how his team can work collaboratively, not only within the business but also with various regulatory bodies. All insurance providers are dealing with the challenge of geographical diversity and the question of how they can operate as a global firm that allows clients to access capital across borders in a heavily regulated industry where the content of local regulation makes that very difficult. For Ferris, there is no simple solution. Helping to sustain the commercial strengths of the company is, Ferris says, the main contribution the legal team makes to Aon. The insurance industry has not managed to harness analytics with the same degree of rigour and consistency as the rest of the financial services industry, but Aon is trying to outpace its competitors through its global risk insight platform, a fully integrated consulting business that sits within the company. Ferris joined Aon in 2007 and ran the legal team in London before taking over the EMEA role in 2013. Bill McGowan joined US-listed global insurance broker Arthur J Gallagher (AJG) in June 2012 just as it was beginning a period of significant expansion, both in the UK and internationally. A year prior to McGowan’s appointment, AJG began a string of UK acquisitions that transformed the business from a mid-ranking insurer with 800 employees to a major global player with 4,500 employees in the UK and a further 1,500 based in other jurisdictions. Shortly after McGowan took up his role as general counsel, the company acquired specialist insurance adviser Acumus along with the property and commercial businesses of Barbon Insurance Group. This was followed by the acquisitions of specialist insurer Giles and the transport broker Belmont International in 2013 and Oval Financial and Oval Healthcare in 2014. More recently McGowan has had to help steer AJG through a different type of organisational change. Around half of the company’s senior management, including the chief executive and chief financial officer, have left the company since 2014. According to one senior partner in private practice, McGowan has played a central role in keeping the business running smoothly in the face of these high-profile departures.